Give away a fabulous prize and receive the following benefits - AT NO ADDITIONAL COST!!! Company name and/or logo and prize included on our website and social media, reaching thousands of brides in the surrounding area. Company name and/or logo and prize included in our show program guide and on our show shopping bag, given to every bride in attendance (deadlines apply). Company name and/or logo and prize included in our email campaign to thousands of brides in the surrounding area (deadlines apply). Increase traffic to your booth. 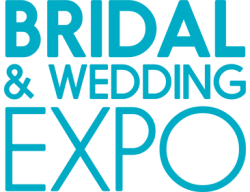 Brides who are interested in winning your prize will be directed right to your booth. $200 minimum value for prize. Brides’ only obligation is to complete your entry form. No purchase necessary. Prize cannot be contingent upon doing business with your company. Prize cannot be a discount on your product or service. Winner is picked by you in your booth and you handle all logistics and prize fulfillment.